The secret to managing an Employee Counseling scenario is having an established system. Our members will learn system, through our custom instructional video, known as the 8-Step Process. This process teaches our members to prepare and manage a counseling session with even the most difficult employee. Members receive unlimited access for 4-months to all content within the fire department Employee Counseling section. 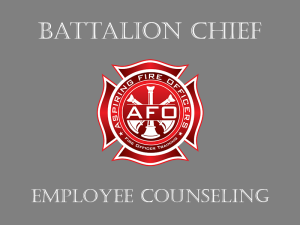 In the Employee Counseling section, our members will have unlimited access to (5) high level battalion chief Employee Counseling videos. These videos were designed to teach our members how to conduct complex employee counseling sessions that you are likely to encounter during your assessment center or when you get promoted. In addition, we also include (9) fire officer Employee Counseling videos at no additional charge. 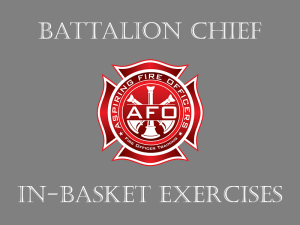 While these additional videos do not have the same level of complexity as the battalion chief videos, they are an excellent way to reinforce the 8-step process that we teach to our members. 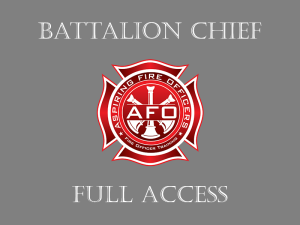 All 14 videos are available our battalion chief members. We review the progressive disciplinary process, provide tools, demonstrate how to conduct a counseling session, and implement the appropriate corrective action or discipline commensurate with the infraction. 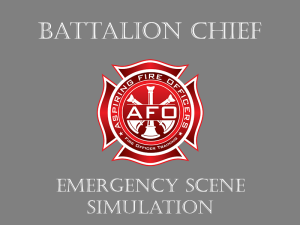 In the videos, the battalion chief interviews the officer about the situation that has been presented in the scenario. The battalion chief follows the 8-Step Process to conduct the counseling session. As the battalion chief progresses through the counseling session, a banner displays which step the battalion chief is currently in, This method allows our members to track the progress throughout the video. This helps to reinforce how to properly utilize the 8-Step Process. The scenarios build in complexity with identifying the issue(s) or policy violation(s) and redirecting the employee back to what the expected behavior or policy is within the department. There are a couple scenarios that involve interviewing multiple members to identify the issues, so they can be properly addressed by you, the battalion chief. Our members will see scenarios that are typical of ones used in exams throughout the country. They include: officer not following policy, disengaged officer, member with expired driver’s license, officers having a shouting match in the station, citizen complaints, poor driving, unacceptable conduct, performance issues, injuries, station banter, preaching, disengaged member, and undermining the officer’s authority. Typically, a role player is used during an assessment center to play the part of the problem employee. We have followed this format in our videos. Each individual playing the role of the problem employee is a fire officer and has been instructed to push back and sometimes challenge the battalion chief. We believe this adds realism and complexity to each scenario and prepares our members for a difficult role player or employee once promoted. Our members will learn the art of keeping the role player on point and challenging him when he steps out of line.